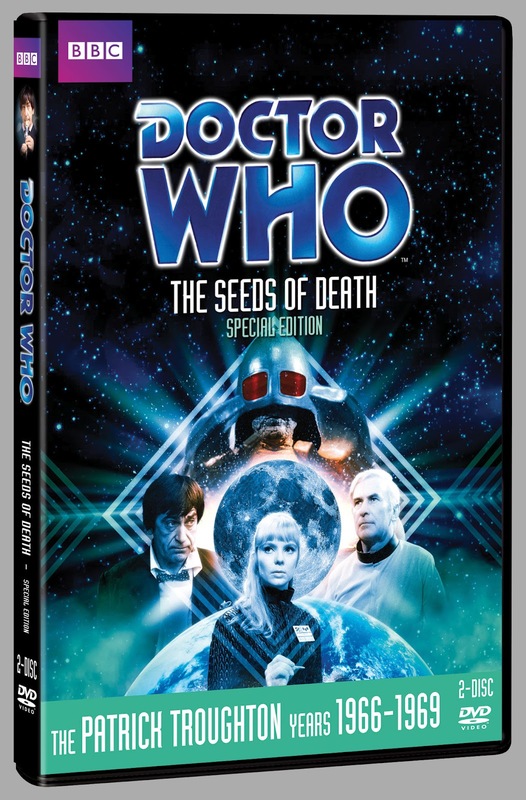 As revealed HERE, June sees the Region 1 DVD re~releases of The Seeds of Death and Resurrection of the Daleks in North America. Included below is the art work and details for these Special Edition 2~disc sets which are both released on June 12 (priced $34.98 in the US and $43.98 in Canada). These editions were released in the UK as part of the Revisitations 2 Box Set. Click on the covers for bigger versions. By the late 21st century, mankind has become totally dependent on T-Mat to transport people, food and medicines around the world. When the system breaks down, Earth is soon crippled by global shortages. Traveling to the relay station on the moon, the Second Doctor (Patrick Troughton) and his companions discover the horrific truth: the Ice Warriors have hijacked T-Mat, and intend to claim the planet for themselves. Can the Doctor defeat the Martians before Earth is smothered in deadly fungus, and the human race is condemned to extinction? This digitally re-mastered edition includes audio commentary with actors Frazer Hines and Wendy Padbury, director Michael Ferguson and script editor Terrance Dicks; Lords of the Red Planet history of the Ice Warriors featurette; Sssowing the Ssseedsss behind the scenes featurette; as well as many other bonus features. The TARDIS is dragged down a time corridor, forcing the Fifth Doctor (Peter Davison), Tegan (Janet Fielding) and Turlough (Mark Strickson) to materialize in a disused part of London in 1984. The corridor links Earth with a battle cruiser in the future that contains the Doctor’s oldest enemy – the Daleks. Having lost the war with the Movellans, only one person can now help the evil race. With shocking consequences for the Doctor, it is time for the Daleks to resurrect their creator Davros. 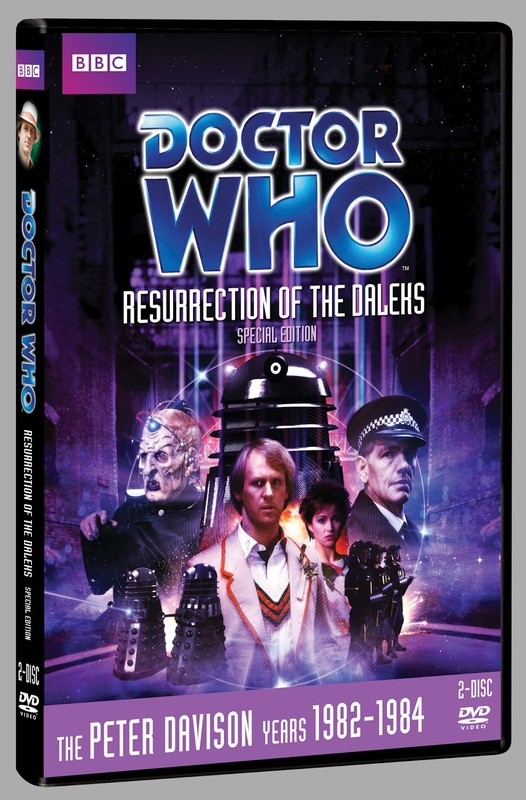 This digitally re-mastered edition includes audio commentary with actor Terry Molloy, writer Eric Saward and visual effects designer Peter Wragg; additional audio commentary with actors Peter Davison, Janet Fielding and director Matthew Robinson; alternate 4-part version of the story; Come In Number Five retrospective of the Fifth Doctor presented by David Tennant; as well as many other bonus features. Ghost Story for Christmas Special?